Southampton manager Mauricio Pellegrino says his whole team will be tasked with containing Eden Hazard on Saturday as the Belgian is too good to be man-marked. Saints face third-placed Chelsea at Stamford Bridge, hoping to bounce back from their embarrassing 4-1 defeat at home to Leicester on Wednesday. Their chances are likely to depend on keeping Hazard quiet. The forward was Chelsea's man of the match in their midweek win over Huddersfield and scored the opener in this same fixture last season. "We don't usually do something special when we play against important players," Pellegrino said. "But we will try to defend him in zones. If you do man-to-man marking, this type of player can move in different places and it will be difficult for us. "We have to be focused - don't leave him to receive too much where he can be really dangerous." Manchester City's relentless winning streak means Chelsea appear to be in a fight for the top four, with Tottenham and Liverpool beneath them and four points behind. 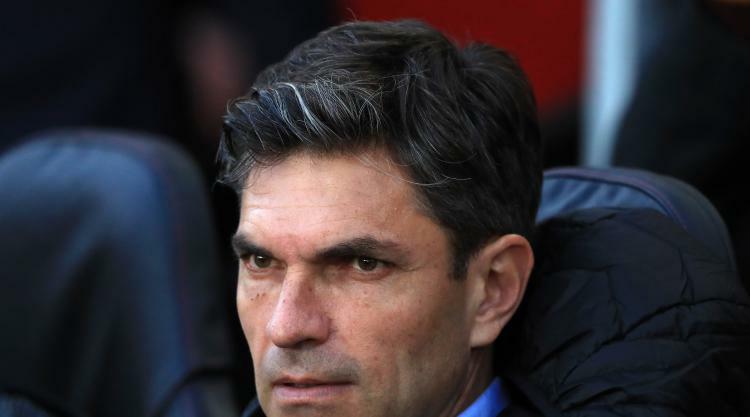 Southampton can take heart from their draw against Arsenal earlier this month and Pellegrino believes his team might even profit from another attacking opponent. "Chelsea is a team where they don't need to dominate you too much to be dangerous," Pellegrino said. "In counter attacks they have players that can create their own actions. They can run 30 or 40 metres like Hazard, Pedro, even the full-backs, (Alvaro) Morata. "It is a side where they are comfortable sometimes when they are deep. They will have different situations but it is a good opportunity for us because also we maybe have more space than normal." As well as Chelsea, Southampton face Tottenham and Manchester United before the turn of the year, creating the very real prospect of them dropping closer to the relegation zone. They are currently four points above the bottom three but Pellegrino brushed off suggestions he is under pressure. "My pressure is intrinsic with my job," he said. "My job is try to achieve good results and to play good football. It is difficult to control the results but we are responsible for the results."